When the anticipation of your child’s birth turns into the grief of miscarriage, tubal pregnancy, stillbirth, or early infant death, no words on earth can ease your loss. But there is strength and encouragement in the wisdom of others who have been there and found that God’s comfort is real. Having experienced three miscarriages and the death of an infant son, Kathe Wunnenberg knows the deep anguish of losing a child. Grieving the Child I Never Knew was born from her personal journey through sorrow. It is a wise and tender companion for mothers whose hearts have been broken—mothers whose dreams have been shattered and who wonder how to go on. This devotional collection will help those mothers grieve honestly and well. With seasoned insights and gentle questions, it invites the reader to present her hurts before God, and to receive over time the healing that He alone can – and will – provide. 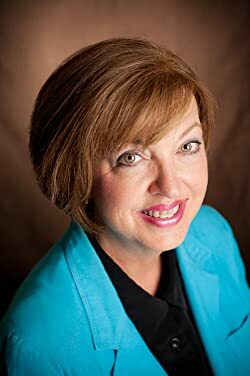 Kathe Wunnenberg is a speaker, writer, and leader known for her creative compassion and for her ability to connect with people and offer them hope. She believes God can transform anything you offer Him-your possessions, people, places and personal life experiences-into hope to help others. Kathe embraces this daily lifestyle she calls "hopelifting" and encourages and equips others to do the same. Cassandra's Review- I can connect with this book and it does help a bit, but nothing every really takes the pain away. There are many ways that people lose children. While this topic is very strong and not approachable by some, this author found a way to soothe if even for an hour. Everyone grieves in their own way, but some people do not know how to start or begin to heal. If you have this situation in your life, perhaps this book will help a bit.